TYRP 1 (Tyrosinase-Related-Protein 1). Study of the mechanism by which these enzymes function allows insight into the phenomenon of melanogenesis in people of colour. In 2011, along with a team of experts in dark and olive skin, Abd Haq Bengeloune, a young biomedical engineer of Senegalese descent, began using this genetic research as the foundation to create le Laboratoire IN'OYA. The aim: to create the first effective dermocosmetic dark spot corrector without side effects, which takes into account the specific genes of dark and olive skin tones. Using the findings from research on melanogenesis and two years of research, IN'OYA's researchers developed its first skin tone correcting technology innovation for dark skin, MEL'OYA® which blocks both the TYRP 1 enzyme and Tyrosinase to effectively act on spots due to hyperpigmentation. This technology is protected by a European patent (EP2705830/A1) and an international patent (WO2014/037111/AS) in cooperation with Aix-Marseille University and the French National Center for Scientific Research (CNRS). 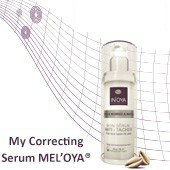 These technological advances allowed Laboratoire IN'OYA to launch in 2013 the MEL'OYA® skin tone corrector range specifically for dark and olive skin tones, that acts effectively on spots due to hyperpigmentation (inflammatory, hormonal, sun) with proven efficacy after 28 days. On the heels of this groundbreaking technology, recognized in Europe and Africa, IN'OYA Laboratoire definitively established its positioning as a skincare brand in September 2015 by offering its patented anti-blemish technology ACN'OYA®. This innovative product acts on blackheads, whiteheads and spots by neutralizing acne-causing bacteria and eliminating inflammation at the source. This skincare range is suitable for acne-prone skin and effectively treats a skin issue affecting nearly 80% of women with dark and olive skin. In October 2015, the CLEAN'OYA® range rounded out the collection to give women with dark and olive skin tones a complete skincare routine. It features three cleansing products designed for dark and olive skin that contains no soap or parabens, and which have been developed to respect even the most sensitive skin. It is the perfect range for gently and deeply cleansing the skin. In June 2016, another innovation comes out with SUN’OYA® My Sun Fluid SPF 50. Finally a sun protection that perfectly fits pigmented skin without leaving any white marks! Enriched with vitamin D-Like and Vitamin E, its unique composition helps reducing Vitamin D deficiency that leads to articular aches or lack of energy and slows down skin ageing process. In march 2019, Laboratoire IN'OYA decided to expand the CLEAN'OYA® range in order to complete the cleansing, exfoliation and purification of the skin with My Purifying Mask "Softness & Radiance". This novelty results from the combination of "100% natural" mineral clays, shea butter, aloe vera and the new CLEAN'OYA® Lite technology. This mask fits perfectly in any beauty routine and also in "anti-spots" or "anti-pimple" treatment. mars 2011, IN'OYA is rewarded before its creation! 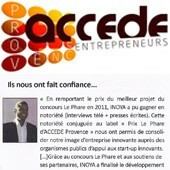 Laboratoire IN'OYA was one of the rewarded projects of Le Phare "Accede Provence" contest, and won the "Prize of best project of the year". A prize that recognizes the originality of the concept and its strong potentiel. It was one of the first rewards for IN'OYA, a start for this human and scientific adventure. 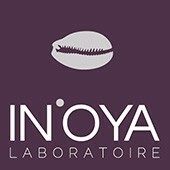 juin 2011, IN'OYA is supported by French reference laboratories! 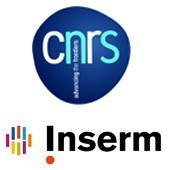 French reference laboratories (CNRS, INSERM) are seduced by the project of Laboratoire IN'OYA and decide to trust us and support the R&D team. With their help, we could develop search on black skin issues and find effective, innovative and powerful actives. 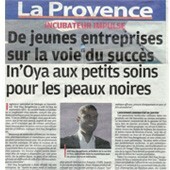 septembre 2011, IN'OYA was born! The history of IN'OYA began in the South of France thanks to the support of research organisations in the field of coloured skin biology, but also in the will of its founder Abd Haq BENGELOUNE to put black and brown skin in the heart of scientific research. 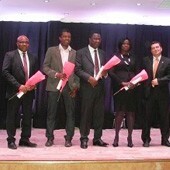 novembre 2011, Abd Haq BENGELOUE, elected "Best African Entrepreneur" in France! The IN'OYA team, with its founder Abd Haq BENGELOUNE, received the prize of "Best African Entrepreneur in France" in the Emergence category. This prize is a symbol of appreciation of the role that IN'OYA plays in Africa's developpement, and in its acknowledgment of colour women skin issues in France and in Africa. 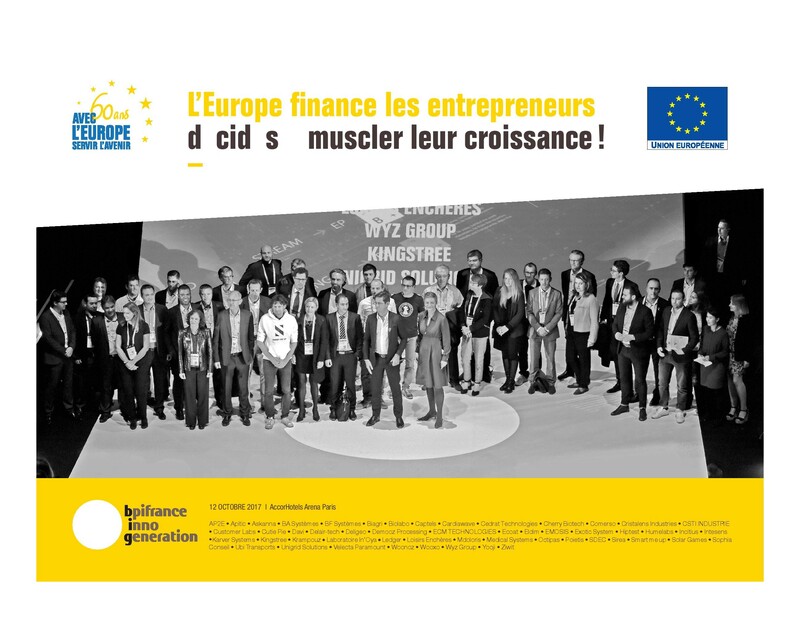 In Novembre 2012, for the 17th edition of this contest, La Provence created the Tremplins de l'Economie to reward young entrepreneurs on the road to success. 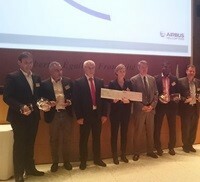 Among them, Laboratoire IN'OYA received the 3rd prize. 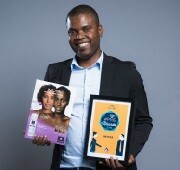 With this reward, Laboratoire IN'OYA won a complete media coverage on press and TV for a whole year. It allowed us to gain visibility on our technology and our innovation. From the beginning of its launch, My Correcting Serum encounters a real success. It is the realization of 10 years of genetic research and 3 years of development on black and brown skin. It is a very encouraging start, rewarded with several prizes for a true effectiveness. This product has seduced black and brown women with its very good results on hyperpigmentation spots. 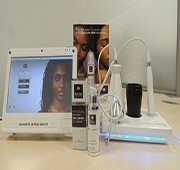 In order to support black and brown women further in the treatment of their spots, the IN'OYA team offers them a free skin diagnosis with OYA Skin Diag, a brand new skin diagnostic device. Specific to pigmented skin, it can evaluate the level of sebum, water, mesure spots... In order to get a complete beauty prescription. Two brand new products complete the MEL'OYA® range : My Corrector Unifying Matifying for combination to oily skin and My Corrector Unifying Moisturising for normal to dry skin. These two-in-one products matify or moisturise and unify, and are of course specific to black skin. They contain unic and patented actives « MEL’OYA® », « MAT’OYA® » et « H2’ OYA® » that guarantee an even and shiny skin tone with no lightening effect. Supported by the great pharmaceutical distributor UbiPharm-PlanetPharma in sub-Saharan Africa, IN'OYA satisfies a real need of black women in Ivory Cost and Senegal and makes the IN'OYA range available in partner pharmacies. This entry on the African marketing encounters a very strong interest ! 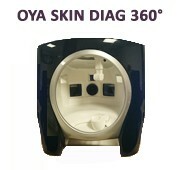 In order to go further in pigmented skin diagnostic, IN'OYA collaborates with one of the biggest American manufacturers to offer black women a new skin diagnostic device amongst the most sophisticated, called OYA Skin Diag 360°. This device offers a world-leading technology and mesures several points: imperfections, spots, acne, scars, skin texture, pores... to propose detailed results and tailor-made recommendations. juin 2015, Abd Haq BENGELOUNE receives the "PME Réussite" Label! Laboratoire IN'OYA and its founder, Abd Haq BENGELOUNE, received the "PME Reussite" Label during the event Planète PME organised on 18th June 2015 to promote and support innovative entrepreneurs that bring new concepts all around France. This is the prize of a complete investment in Europe but also in Africa, for a company that is devoted to solving skin problems of women with black and brown skin. 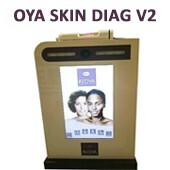 Always looking for new innovations, Laboratoire IN'OYA developped a brand new diagnostic device called OYA Skin Diag V2! One of the newest technologies that helps determine details concerning dermatological caracteristics of black and brown skin. A perfect way to give even more precise and personnalised advice. Associated with MAT'OYA® actives, this innovation effectively treats imperfections on pigmented skin. 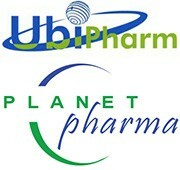 This new patented technology neutralizes inflammation and contributes to reduce residual marks. A new success to come! The CLEAN'OYA® range is here, a complete beauty routine with IN'OYA is now possible! Three new products specific to black skin, respectful of sensitive skin with no soap and no paraben, are now available for a deep and soft cleansing. This new technology was greeted by IN'OYA users, who are thrilled to have a complete IN'OYA routine. novembre 2015, IN'OYA is rewarded with the 3rd prize of the Young Innovative Companies contest! On the 6th Novembre 2015, Abd Haq Bengeloune and Laboratoire IN'OYA receive the 3rd prize at the "Trophées Entreprendre" contest that rewards Young Innovative Companies in Provence. juin 2016, IN'OYA launches a solar range SUN'OYA! 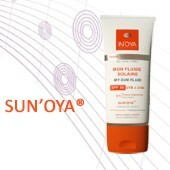 IN'OYA launches a solar range SUN'OYA with my Sun Fluid SPF50! This new innovation is the first sunscreen specific to black skin with a SPF50. More important, it leaves no white marks on skin! Enriched in vitamin D-Like and vitamin E, My Sun Fluid is perfect to keep a unified skin tone all year. It is also highly recommanded in case of an anti-dark spot or anti-imperfections treatment. 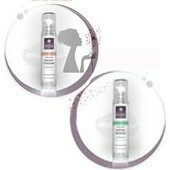 Laboratoire IN'OYA launches a new innovation for black and brown skin: My Body Milk Unifying Moisturizing. Perfect to help in case of an anti-dark spots treatment, it leaves the skin deeply hydrated and skiny, without lightening it and with no side effects. octobre 2017, IN'OYA était présent à la troisième édition de Bpifrance Inno Génération qui s’est tenue le 12 octobre 2017 ! 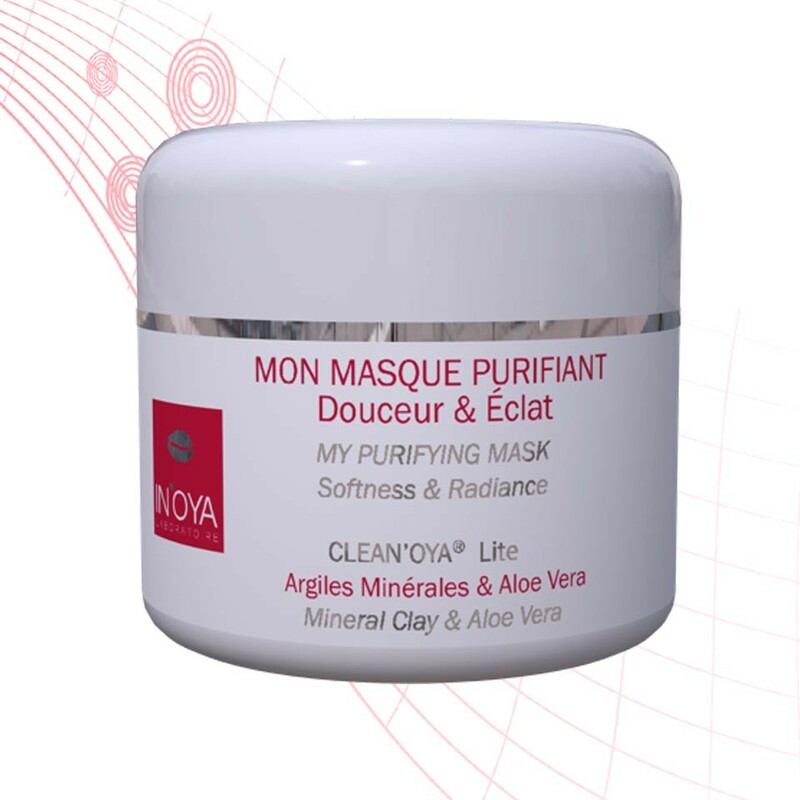 Laboratoire IN'OYA decided to expand the CLEAN'OYA® range in order to complete the cleansing, exfoliation and purification of the skin with My Purifying Mask "Softness & Radiance". This novelty results from the combination of "100% natural" mineral clays, shea butter, aloe vera and the new CLEAN'OYA® Lite technology. This mask fits perfectly in any beauty routine and also in "anti-spots" or "anti-pimple" treatment.